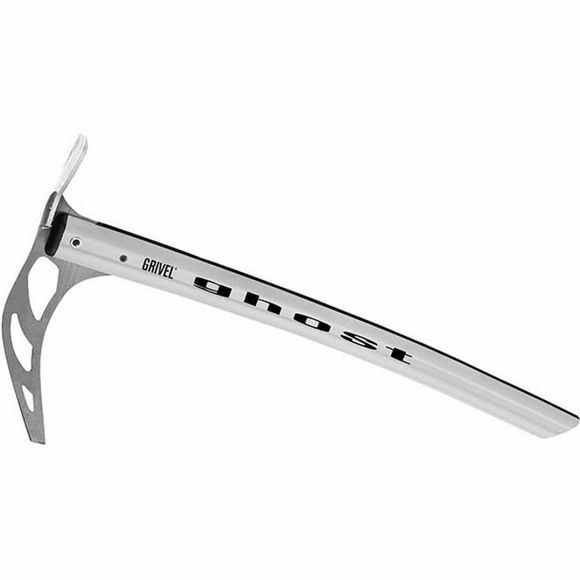 The Ghost Axe from Grivel is the lightest ice axe ever made by Grivel with a steel head and blade. Ghost is for people who want the lightest possible tool but are not willing to sacrifice the strength and durability of a genuine steel head and the efficiency of a real steel blade. S.A. shaft (slightly curved), improving the hold on snow, also allowing 'self arrest' - fitted with a light alloy shovel.